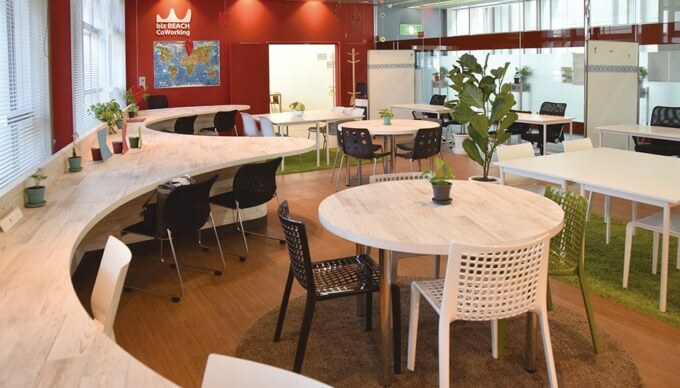 Biz BEACH CoWorking is located in Ota-Ku Sangyo Plaza in Tokyo, which is just 10 minutes away from Haneda Airport, and near Keikyukamata station and JR Kamata Station. The advantage of the location is you can work in a spacious spot right after a long cramped airplane ride or use this space to work in a calm environment right before a long plane ride for a business trip. Biz BEACH CoWorking also has an English speaking staff for your convenience. 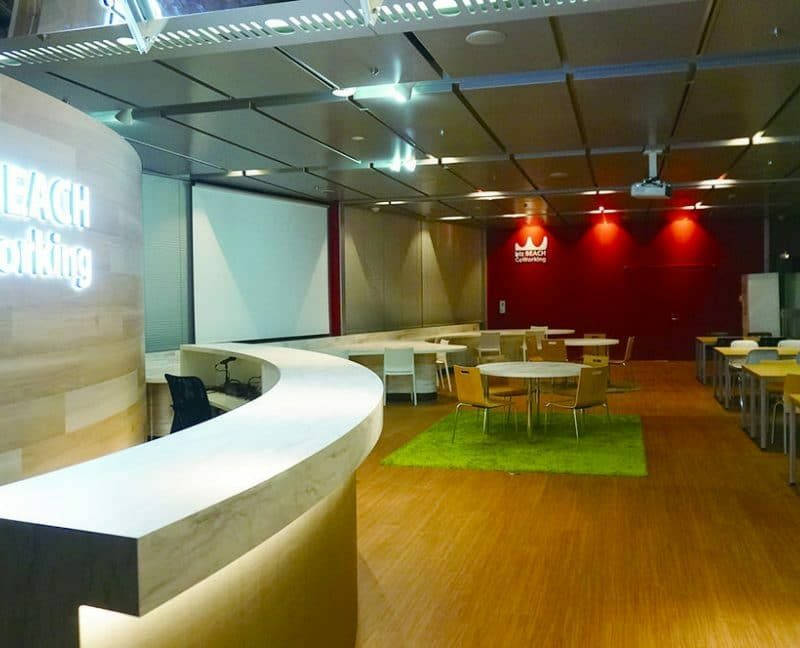 Biz BEACH CoWorking has meeting rooms and loves to host many events. The layout is very simple. The space is split up into three spaces- the information center, A-zone and B-zone. 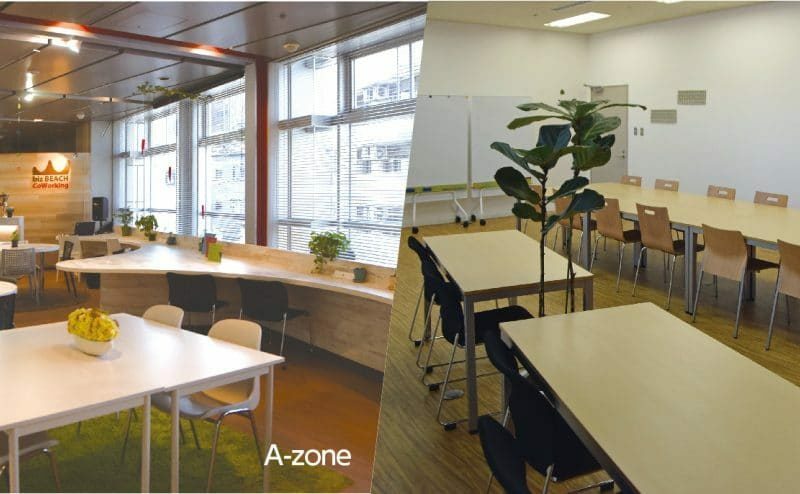 A-zone is primarily used as a shared space for people to concentrate and work more alone, while B-zone used for group activities such as meetings or workshops. Although many chairs and tables are next to each other, the space is very spacious and nice. This is a good space for someone who is thinking about starting a business in Japan and needs a calm, pleasant space out of the house to work and brainstorm. biz BEACH CoWorking costs 3000 yen a day, and 8000 yen a month.